Sometimes revisiting old photographs pays off. 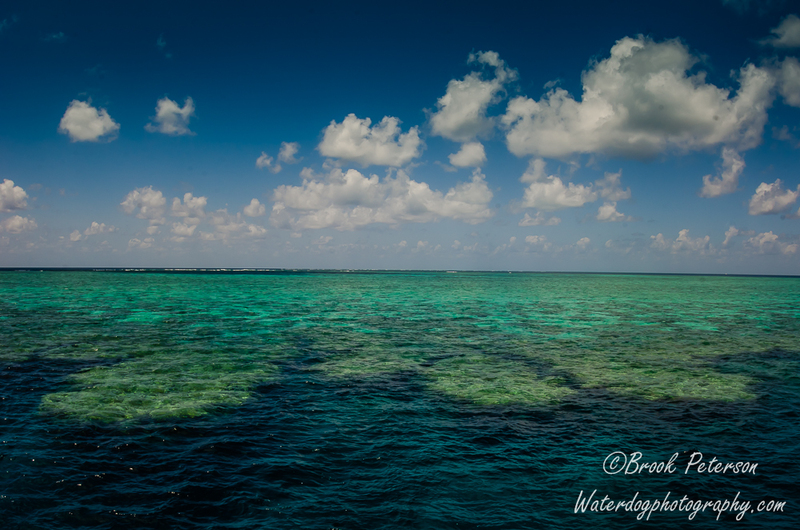 I was browsing through some imagess I took on the Great Barrier Reef in the Fall of 2013 when I came across these photographs. It is interesting to note that I dismissed them earlier because I was looking for specific shots when I first went through post processing. Now I don’t have any preconceived notions about what I wanted from these images, and I was able to view them with a fresh perspective. 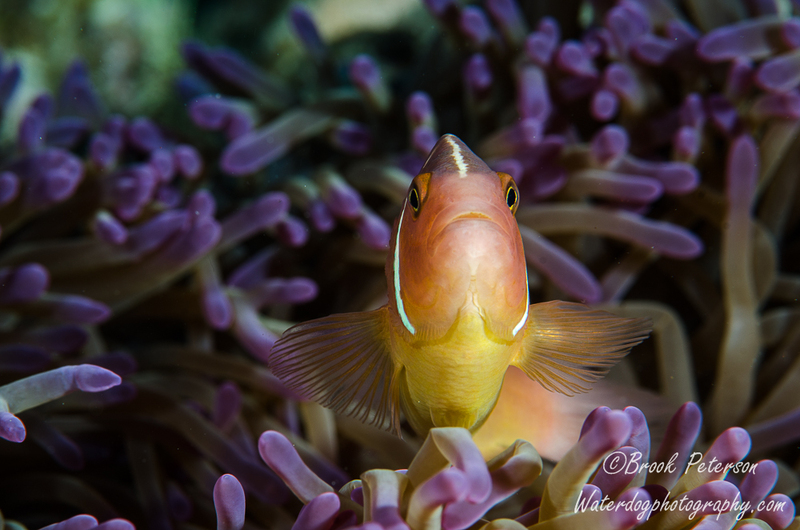 The colors of this anemone fish and the anemone it inhabits are so complimentary. Mother nature has impeccable taste. 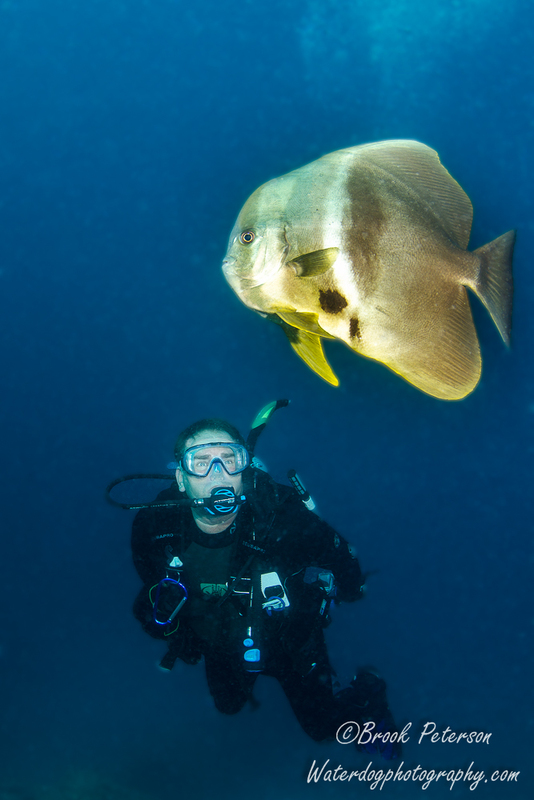 The Great Barrier Reef is beautiful both above and below the water. 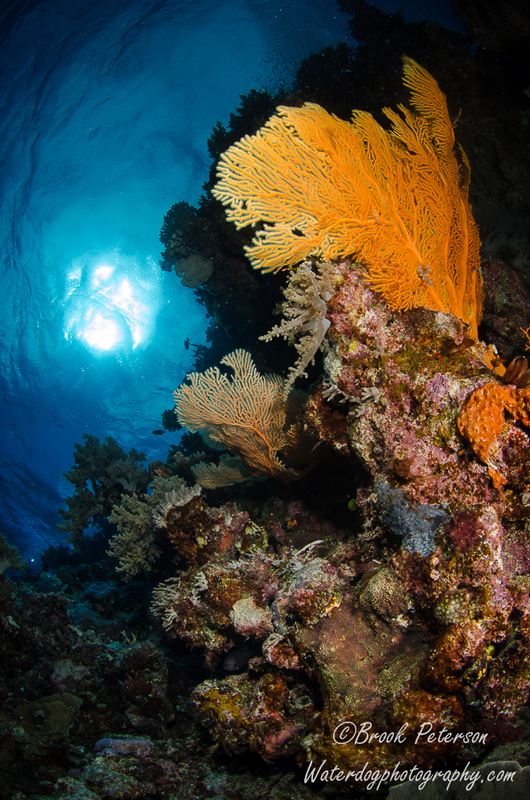 It is amazing how brilliant the colors of the reef are when you shine a little light on them. I wonder if the fish realize how beautiful their home is? 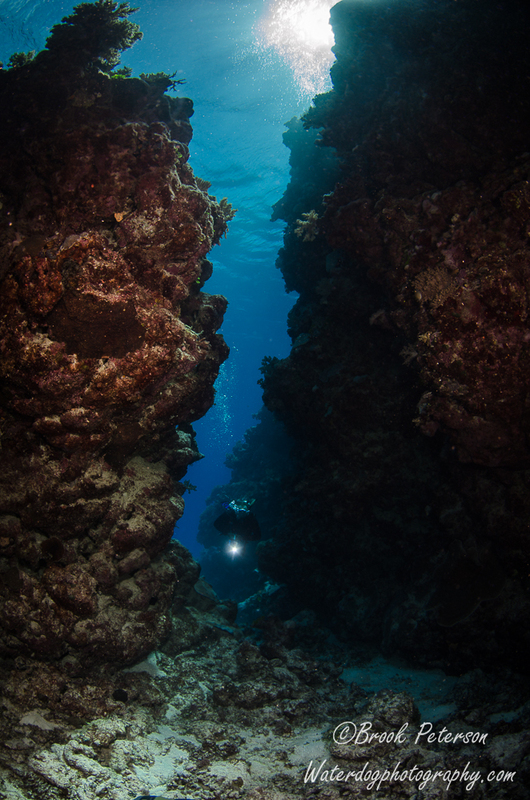 Here a diver swims through a deep crevice. All images are copyrighted by Brook Peterson and may only be used with written permission. Please do not copy or print them. To discuss terms for using these images, please contact me. Thank you for sharing my blog. I’ve been bitten harder by clownfish than any other marine animal! When they are aggressive like that, it probably means they are guarding a nest of eggs. I always view that as a great photo op. Biting clownfish means eggs under the anemone. Just watch out while you’re taking the photo!